For today's challenge, we're suppose to use black and white. 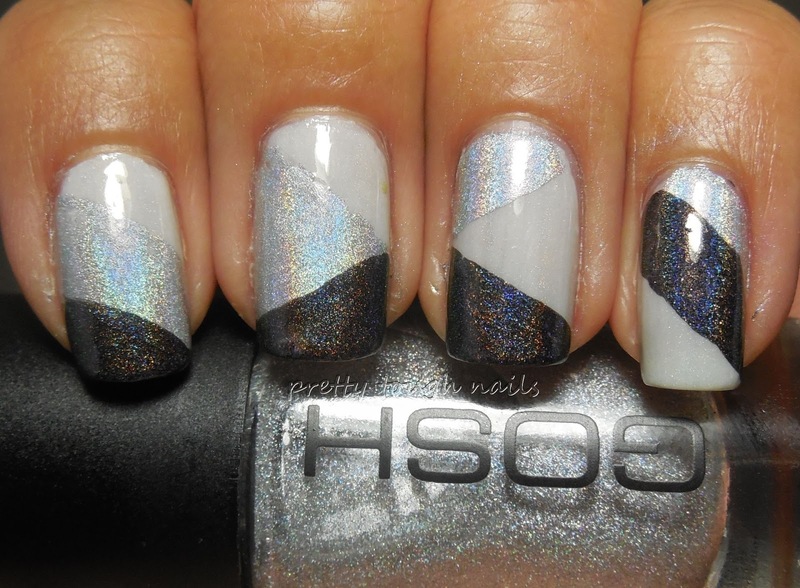 I originally did a holographic color blocking pattern but then scrapped it when it looked too amateur simple. Here's a pic of it below. So then I brainstormed some more and come up with a few more ideas, and eventually decided to try drawing a leafless tree on a white background. I used Zoya Purity for the white and Wet 'n' Wild black creme to draw the tree with a nail art brush. It's not perfect, but I really like the way it turned out. I finally figured out the brushes with the long slender bristles are the best when it comes to drawing fine lines, and not the short stubby thin brushes. 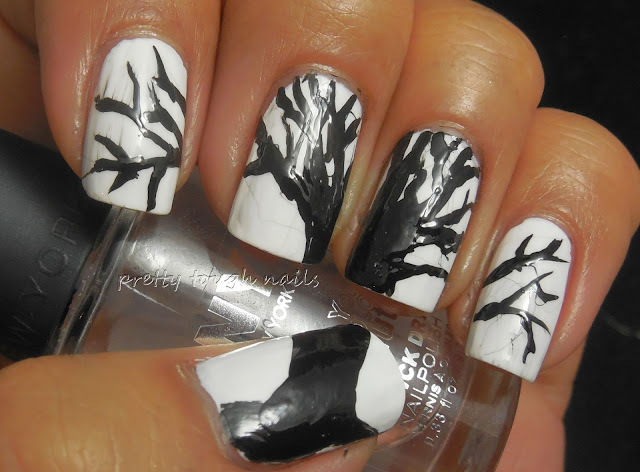 Overall, it was an easy mani to create but the visual appearance is striking. 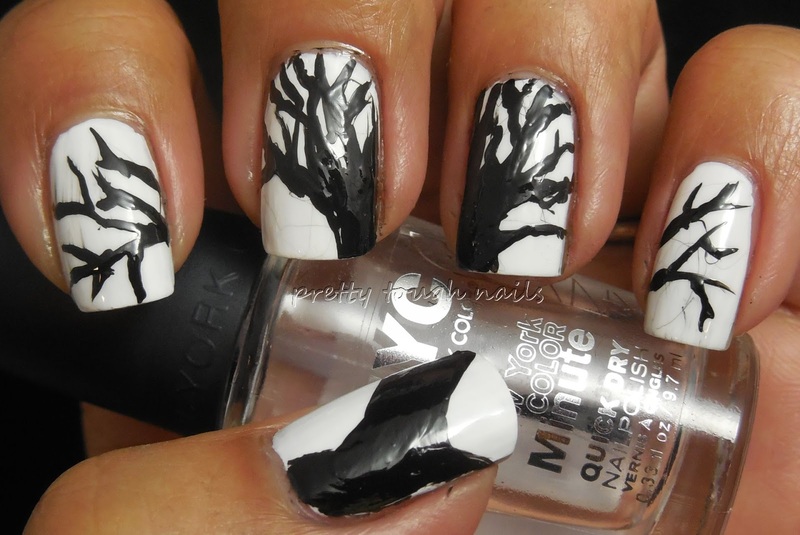 I'm excited to see the rest of black and white manis - the possibilities are endless when using these two colors together! I really love this mani, very creative design and beautifully painted. thank you!! I can use a little more practice with that brush! Oooh this is soo beautiful! I LOVE this kind of tree-outlines-kinda-thingies.. haha.. Very Well done! Thank you!! I think I'm going to try this again sometime! I think both came out great! Fantastic! 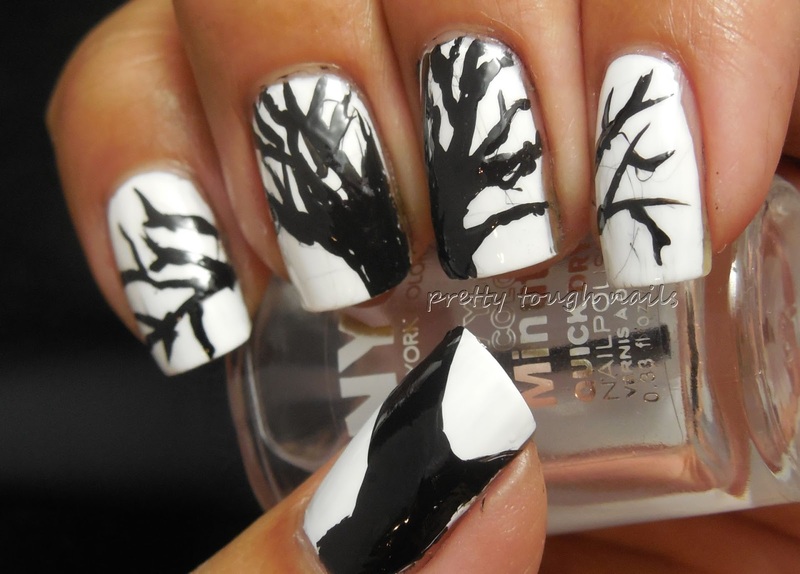 I love tree branches in manis, they're so pretty! thank you!! i can't wait to try this again! I like both looks actually! 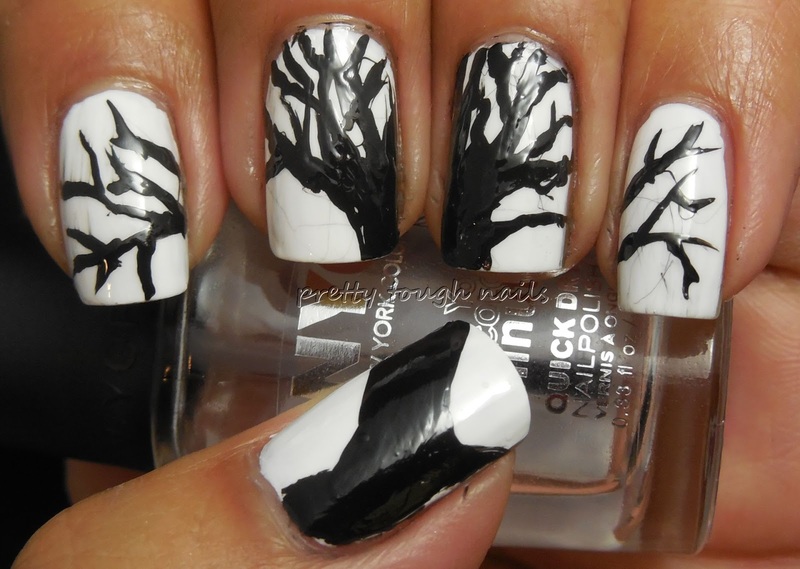 I've never really tried nail art before, I'm kind of intimidated, but I think yours came out great. me too!! i guess i'm glad i'm doing this challenge this month. it's really making cross a lot of boundaries! These are beautiful! I love them!